Government is the set of formal institutions used by a society to organize itself; government sets rules for general conduct by citizens. These rules are usually based on customs that have evolved in that society. Most governments include formal organizations that serve legislative, executive, or judiciary functions. These are called branches of government. Government may also be organized into levels: national government and subordinate governments such as states or provinces, counties, and cities or towns. SOURCE: Antista, James V.; Boardman, Dorothy Lowe; Cloud, Thomas A.; et al. (2001). "Federal, State, and Local Environmental Control Agencies" In Treatise on Florida Environmental and Land Use Law. Tallahassee, FL: The Florida Bar. The U.S. system of government is a representative system rather than a pure democracy. In a pure democracy, citizens decide together what actions the government should take. The New England town meeting reflects this concept most closely. Generally, the U.S. representative system, also called "republican" (after the Roman form of government), functions by agents: Relatively few citizens elected periodically by the populace at large make decisions about what the government should act on. Politicians campaign or make decisions based on a mix of their political party's position and their constituents' needs and viewpoints. If constituents view an issue as important, they are likely to make their preferences known to their representatives. These active attentives are aware of issues and communicate their preferences, thus demanding that elected officials act as delegates. If an issue does not affect constituents directly, they are likely to remain quiet, allowing representatives to act as trustees and make the decision themselves. The first U.S. government, established in 1781, was a "treaty of friendship" called The Articles of Confederation. This treaty among independent nation states (the thirteen colonies) allowed each state to establish its own laws, coin its own money, and tax import goods. Jointly, each state was obliged to assist the others in defense and to pay a share of the Revolutionary War costs. Common laws were to be enacted only when state delegates to a "Congress" agreed on them unanimously. There was no president and no bureaucracy; the government engaged in no day-to-day operations. This confederation soon proved ineffective, and in 1787 a Constitutional Convention was called to create a stronger system. This new government required each state to give up power to the national, or federal, government so it could act without requiring unanimous agreement by the individual states. The modern U.S. government system consists of three levels of government and three branches. The three levels of government are the federal (national), state, and local governments. The federal government deals largely with international agreements, treaties, and broad public issues affecting constituents across the nation. State governments primarily govern areas that affect the well being of its citizens; some of these are national in scope. When states address issues that are national, the general rule is that they can always "do more" than the federal government, but not less. They can require cleaner air and water than federal standards, for example. Local governments (counties, cities, towns, and special districts such as school districts) are seen as service providers who make our daily life easier; these services include snowplowing, public schools, and garbage collection. Citizens may fail to notice all that local and state governments do. Yet, decisions to plow roads have a great deal to do with protecting the water supply for both drinking and recreation, because it includes a decision to use sand or salt to create safer winter driving. And a heavy spring snowmelt, once it enters the sewage treatment system, can cause flooding, sewage backups, and create health risks. Likewise, garbage collection is just the first step in local solid waste management that can end at an incinerator or a landfill. Thus the direct delivery of services such as snowplowing and garbage collection that citizens normally see, bring into being the less visible management programs of our state and local governments. Often, local and state governments are seen as "policy laboratories" for the federal government. When a problem reaches national attention, the federal government looks to states and local governments with existing policies for examples of what works, and uses their policy as a model for a national one. This "ratcheting effect" is particularly evident in pollution control policies during the twentieth century. Cities enacted the first clean air statutes around 1900; county and state air quality policies grew out of these local laws by the 1950s. The national Clean Air Act of 1970 was, in turn, modeled after several state policies. The three branches of government—executive, legislature, and judiciary—serve as a system of checks and balances to limit the power of any one branch of government. These limits derive from separate powers (authority given to one branch to act on an issue), shared powers (where it takes two or more branches acting together to accomplish something), and checks (where one branch can stop another branch from acting). The movement to "harmonize" legislation and open borders in Europe under the European Union (EU) is a confederated system similar to the United States under the Articles of Confederation. The EU is a representative overgovernment, (i.e., a governing body that is instituted with authority to make and representatives from the existing EU nations). The EU now shares a single currency (the Euro) among these several nations and formal administrative agencies, including the European Environment Agency, something the early U.S. system lacked. The unitary system is also a form of democratic government. It is used in the United Kingdom and other nations that have a parliamentary government. A unitary government combines the executive and legislative branches and operates on several levels. Elected legislators choose by vote from their own group a prime minister to run the government. The lower levels of government carry out national policies, but do not make their own. Canada is part of the British Commonwealth and has a parliamentary system that combines the executive and legislative branches. While the monarchy of the United Kingdom is also the monarchy of Canada, and appoints a governor-general to act as its representative, the governor-general is a symbol of the monarchy, rather than a political leader. Governance of Canada resides in the prime minister and the parliament. The Canadian parliament has two houses, similar to the U.S. Congress. However in Canada, the prime minister recommends and the governor-general appoints the members of the upper house, the Senate. Senators may hold office until age seventy-five. Elections are held for members of the lower house, the House of Commons. Canada is a federal system with multiple provinces, each having their own constitutions and laws. The ability to legislate over certain natural resources is a shared power between the Canadian provinces and the federal Canadian government. The United Mexican States, the U.S. southern neighbor, shares with Canada and the United States a federal system of states and a centralized national government. But like the United States, Mexico has a presidential system with a separate executive branch. The bicameral, or two house National Congress (Congreso de la Union) consists of a Senate (Camara de Senadores) and a Federal Chamber of Deputies (Camara Federal de Diputados). As in the United States, the Senate has fewer members than the Federal Chamber of Deputies (128 to five hundred). However, in both houses the members are chosen in two ways. Some members are elected to a particular seat, while others are allocated a seat in their house of the legislature based on the proportion of a party's vote in the last election, (thirty-two seats allocated in the Senate, two hundred allocated in the Chamber of Deputies). This proportional method of allocating seats ensures that minor parties have a voice in government. While this broadens the democratic input, it can sometimes cause more conflict and gridlock. Sharing borders with the United States, both Canada and Mexico have joined with the United States to create the North American Free Trade Agreement (NAFTA), a treaty similar to that which gave rise to the European Union. Rather than creating a new level of government over the nations, this treaty addressed commerce across borders. However, many citizens believed NAFTA caused many social problems, including environmental problems. To address public concern, the North American Agreement on Environmental Cooperation, along with other side agreements, was drafted to protect the environments of the three nations. Among the provisions of this agreement are the promotion of sustainable development within Canada, the United States, and Mexico, and to foster protection of the natural environments of these nations. The role of government in a society rests on the answer to one question: Are humans essentially "good" or "bad"? A society that views humans as essentially good sees little need for government (hence, the government would be limited and inactive). A society answering essentially bad sees the need for a large and active government. Environmental issues center on this question. Are people and corporations self-interested (or bad) and thus in need of governmental regulation? Or are people able to act for the good of society as well as themselves, requiring less regulation? The United States has historically responded to this question with mixed answers. From the federalists (who wanted a larger, more powerful government) and antifederalists beliefs about the appropriate size and functions for government have combined with what citizens "value" for society make up a set of commonly held ethics that are referred to as the political culture. In the United States, multiple views or cultures exist; ours is seen as a pluralist. nation. These disagreements form the basis of environmental policy debates. The government achieves its goals through different policy mechanisms. Environmental legislative policies use two primary methods: regulation that prescribes particular allowed behaviors, which are then monitored and enforced, and market incentives that offer financial incentives to obtain a desired outcome, but allow individuals and firms to decide how to achieve it. Interactions between levels and branches of government are common. Organizations of government officials, such as mayors and governors, have been created. These act as interest groups that jointly address common problems or lobby higher levels of government for policy solutions. Transboundary pollution agreements between states evolved this way, ratcheting policy from local to state to national governments. Increasingly, such escalation has included shifting policy to the international level. Common international problems require the negotiation of treaties among often very different countries. The interests of each country therefore influence the governance of international issues. But international policies specify standards, often calling for changes in national policies, as seen in the Kyoto Protocol and the environmental side agreements of the North American Free Trade Agreement. Similarly, the United Nations Environment program Agenda 21, an out-growth of the UN Earth Summit held in Rio de Janeiro, Brazil in 1992, is a global plan of action that influences individual national policies. Agenda 21 encompasses international efforts to promote sustainable development and provides guidance on how nations may change their own environmental policies. SEE ALSO A GENDA 21 ; E NVIRONMENT C ANADA ; L AWS AND R EGULATIONS , I NTERNATIONAL ; L AWS AND R EGULATIONS , U NITED S TATES ; L EGISLATIVE P ROCESS ; M EXICAN S ECRETARIAT FOR N ATURAL R ESOURCES (L A S ECRETARíA DEL M EDIO A MBIENTE Y R ECURSOS N ATURALES ) ; N UCLEAR R EGULATORY C OMMISSION (NRC) ; O CCUPATIONAL S AFETY AND H EALTH A DMINISTRATION (OSHA) ; P OLITICS ; P RESIDENT'S C OUNCIL ON E NVIRONMENTAL Q UALITY ; P UBLIC P OLICY D ECISION M AKING ; R IGHT TO K NOW ; T REATIES AND C ONFERENCES ; U.S. E NVIRONMENTAL P ROTECTION A GENCY . Arnold, R. Douglas. (1990). The Logic of Congressional Action. New Haven, CT: Yale University Press. Bagdikian, Ben H. (1983, revised 1990). The Media Monopoly, 3rd edition. Boston, MA: Beacon Press. Dahl, Robert A. (1989). Democracy and Its Critics. New Haven, CT: Yale University Press. Gandy, Oscar H., Jr. (1982). Beyond Agenda Setting: Information Subsidies and Public Policy. Norwood, NJ: Ablex Publishing Company. Hetherington, Marc J. (1996). "The Media's Role in Forming Voters' National Economic Evaluations in 1992." American Journal of Political Science 40(2):372–395. Ito, Youichi. (1990). "Mass Communication Theories from a Japanese Perspective." Media, Culture, and Society 12:423–464. Lowi, Theodore J. (1985). The Personal Presidency: Power Invested Promise Unfulfilled. Ithaca, NY: Cornell University Press. Negrine, Ralph. (1989). Politics and the Mass Media in Britain. London, UK: Routledge. Neustadt, Richard E. (1990). Presidential Power and the Modern Presidents: The Politics of Leadership from Roosevelt to Reagan. New York: The Free Press. Weber, Edward P. (1998). Pluralism by the Rules. Washington, DC: Georgetown University Press. U.S. Congress Web site. "Legislative Process—How a Bill Becomes a Law." Available from http://www.house.gov/house . U.S. Library of Congress. "Committees and Their Procedures in the U.S. Congress." Available from http://thomas.loc.gov/home . The United Kingdom Parliament. "Welcome to the UK Parliament." Available from http://www.parliament.uk . The branch of government that proposes and enacts laws. Usually comprised of one or more "chambers" or houses, whose members are usually elected, though sometimes they may be appointed. A legislature debates and decides what laws to enact. In the United States, the national legislature, the U.S. Congress, has two houses: the Senate, with a greater focus on international policy and administration of government, and the House of Representatives, with a stronger focus on domestic or internal policy and budget and taxation. While members of most legislatures are elected by citizens to represent their interests by geographic region, this is not always true. The parliament of the United Kingdom has one house whose members are elected, the House of Commons, and a second house, the House of Lords, composed of members of the aristocracy, or peers, who inherit their seats. In the late 1990s, the parliament of the United Kingdom was reorganized, and the seats held by a number of the peers were eliminated. The branch of government that implements the laws and conducts the daily operations of government. In the United States, the national executive branch consists of the president and various administering bureaucracies. 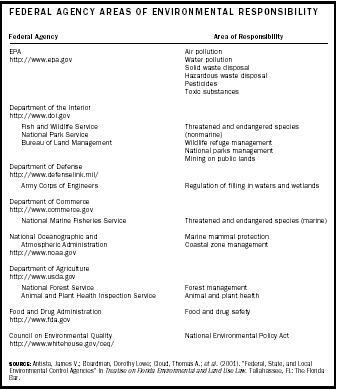 These bureaucracies include cabinet offices (such as the Department of Interior, Housing and Urban Development, Commerce), independent agencies (like the Environmental Protection Agency and the Central Intelligence Agency), regulatory commissions (including the Securities Exchange Commission, the Federal Elections Commission, and the Nuclear Regulatory Commission), and government corporations (the U.S. Postal Service). The executive branch often promotes particular policies and so works to enact laws as much as it enforces and implements laws. In the United Kingdom and other unitary systems, lower levels of government (counties or "shires") are seen as administrative arms of the national government. In the United States, the states enact and carry out their own laws as well as being responsible for upholding federal laws. In the United States, the judiciary is the branch of government that resolves disputes. Some disputes are over facts, as in a jury trial for a criminal case between the plaintiff (government) and the defendant (one or more citizens). Civil cases are controversies between two or more citizens or a citizen and an organization. In all disputes over facts, there is some previous rule, law or policy established that specifies appropriate behavior. The disagreement over facts determines who did, or did not, violate that appropriate behavior. Disputes also arise over questions of what the law is intended to mean. These cases, called appellate cases, are decided by a panel of judges. Usually, there are between three and nine justices who vote on the best way to interpret the law, and agreement occurs by majority vote (the U.S. Supreme Court has nine justices; lower federal and state appellate courts generally have fewer justices).